Are you in search of the most secure flatbed towing company in the Dallas area? Look no further because Delta Towing is your number one choice for all flatbed towing solutions. There is no better and safer way to transport a vehicle than with flatbed towing. While most towing cease to operate after dark, we work 24/7 to give you the highest quality towing services at all times. A routine flatbed towing can take most companies several hours to complete. We and our network of independently owned and licensed affiliates arrive to the scene in less than a half hour to get your vehicle transported to where it needs to go. A lot of other companies ignore the safety measures and precautions when handling a vehicle. Our towing method is safe, secure, and very convenient. How the process works is quite simple. Once we lower the ramp down and secure your vehicle, we then raise it above ground and prepare for the journey. Trust no one else but the best, and that name is Delta Towing! Flatbed towing is one of many towing aspects we specialize in at Delta Towing. In addition to flatbed towing, we and our licensed affiliates offer, long distance towing, emergency towing, heavy duty towing, local distance towing, medium duty towing, luxury vehicle towing, and 24/7 roadside assistance. There has never been an easier and safer way to get your vehicle across town or just a few blocks away. We have an amazing crew of technicians that represent us throughout the Dallas area. It takes many years of hard work and skills to perfect the art of towing. We treat each vehicle with the utmost level of care, so you can always expect the highest quality towing services. We work with all national insurance companies and we connect you to them with direct billing. Direct billing saves you the trouble and money of waiting until the next business day to reach a representative. Make sure you keep our number saved inside your cell phone for any emergency towing situation. When you need professional towing done right, we’re that company for you! Let us give you a warm Texas welcome to Delta Towing Dallas. 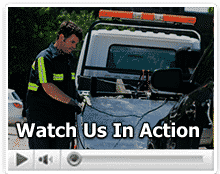 We’re the number one choice when it comes to flatbed towing and all other roadside assistance services. In the event of an emergency, such as a dead car battery. Take no chances on the road, contact us today!